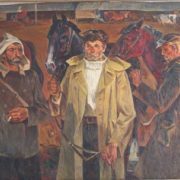 Soviet artist Alexandr Kirchanov (August 28, 1919 – July 27, 1987) – painter, People’s Artist of the RSFSR (1984), member of the USSR Union of Artists (1953), and Honored Artist of the RSFSR (1972). 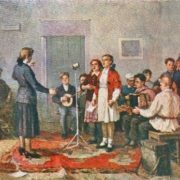 He was the first of the Kuzbass artists who began to participate in the All-Union and republican exhibitions. 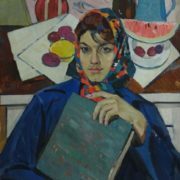 Alexander Kirchanov refers to the constellation of Soviet artists, brought up by their time, the years of socialist construction. He lived in harmony with his era and therefore, was sincere in his work. One of the leading themes of his art is the small peoples of Siberia, inhabiting the edges. This direction has brought fame to him. In December 1941 he was drafted into the Soviet Army, and soon his part of an aviation unit was transferred to 3rd Ukrainian Front. Artistic talent was useful even in the years of the war. 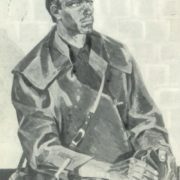 He was drawing topographic maps, produced combat leaflets with caricatures of the enemy, and at night fitfully tried to paint from life. 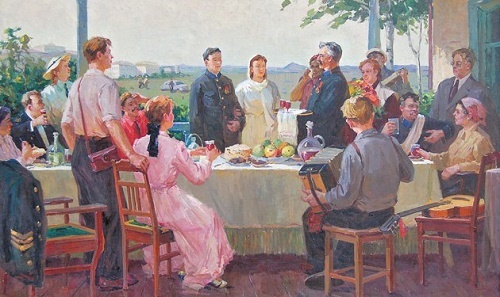 The artist met long-awaited Victory Day already in the liberated from the Nazis Austria. 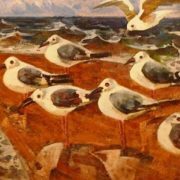 After demobilization in 1946, he returned to Kemerovo and got a job in Kemerovo workshops of Art Fund. Due to the high efficiency achieved considerable success and recognition in the Kemerovo region, Novosibirsk region and republican, All-Russian Exhibition in Moscow. 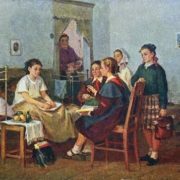 A significant role in the creation played the numerous trips to so-called “Academic Dacha”. Art lessons, teamwork and direct communication with the artists enriched his skills. In the 1965-67 he was chairman of the Kemerovo branch of Union of Artists of the RSFSR. 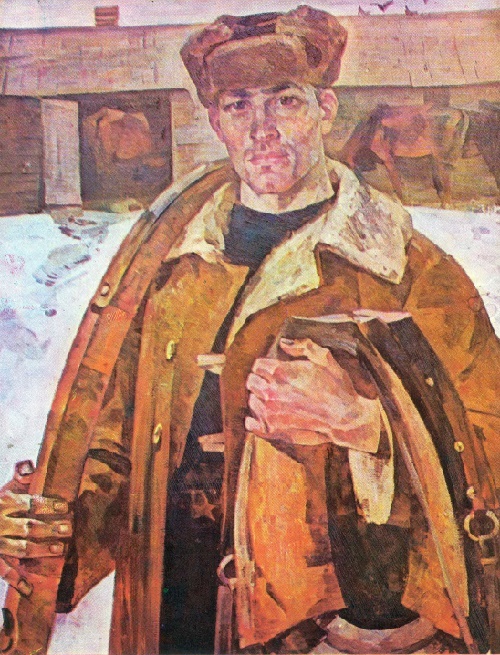 No doubt his paintings, whether portraits, sketches, genre scenes painted in the village, or industrial motifs, or Siberian landscapes are symbols of great events and common destiny. They show the spiritual powers of man. Every work of the master – is primarily a history of Kuzbass page, of indigenous peoples, and workers who live in the land of the Kuznetsk. 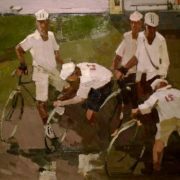 He was a member of the Central Auditing Commission of the RSFSR Union of Artists (1972). His works exhibited in Czechoslovakia and Hungary (1980). Exhibitions of works held in 1967 and 1970 (Kemerovo), and in 1981 (Moscow). 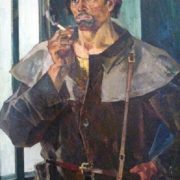 Soviet artist Alexandr Kirchanov died on July 27, 1987 (Kemerovo). In 1989, appeared a memorial museum of the artist in his last workshop in Kemerovo regional museum. 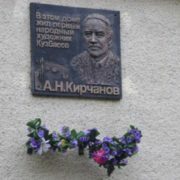 In addition, his works are kept in museums of Kemerovo, Novokuznetsk, Novosibirsk, Tomsk, Barnaul, Krasnoyarsk and Irkutsk.